“Although we have spent several decades focusing on life in the estuary, we only recently came to realise that much of the wealth of biodiversity in the park exists in the small freshwater ponds that are adjacent to, but disconnected from, the main lake,” he says. The St Lucia lake itself is generally brackish and is located on a large sandy expanse known as the Maputaland coastal plain. Dotted across the landscape of this coastal foreland are numerous temporary freshwater ponds, seeps and small streams that are disconnected from the brackish lake body. 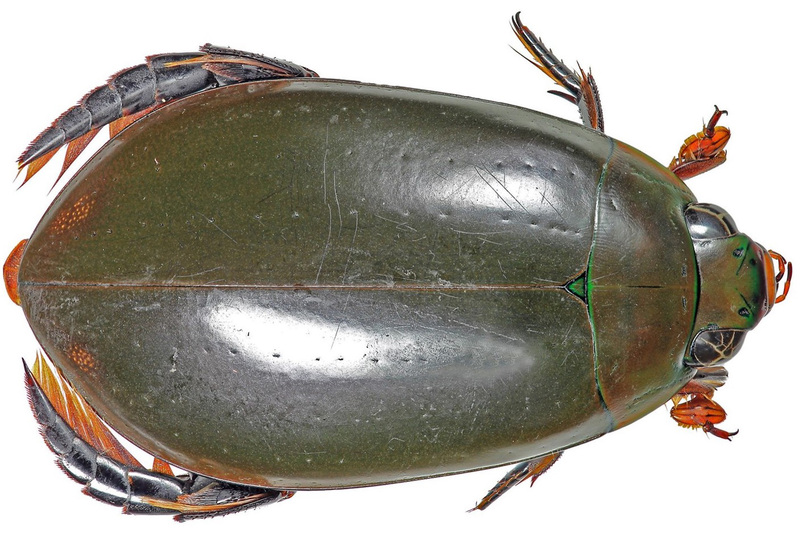 A team of self-proclaimed “beetle nerds”, led by Prof Perissinotto, got together from NMMU and Plymouth University (UK) and uncovered more species of water beetles in these tiny water bodies than is known for any other similar-sized region in southern Africa. The beetle collection trips were done over a 16-month period and revealed 68 species of predaceous water beetles alone, termed more formally as the “Hydradephaga”. The iSimangaliso Wetland Park houses approximately 20% of the total number of known species for this beetle group in the whole of southern Africa. Of the species collected during their expeditions, five have never been recorded in South Africa before, highlighting our poor understanding of aquatic insect distributions in this part of the world. Most of the species collected (almost 80%) belonged to the family Dytiscidae, more commonly known as “diving beetles” due to their lifestyle that involves coming up for air and immediately diving back down to the depths to carry on hunting unsuspecting prey, which can be as large as small fish and amphibians. Prof Perissinotto and his NMMU colleague Dr Matthew Bird, together with water beetle specialist Prof David Bilton (Plymouth University), collected specimens ranging from 1 mm to almost 5 cm in length (the tadpole eaters). 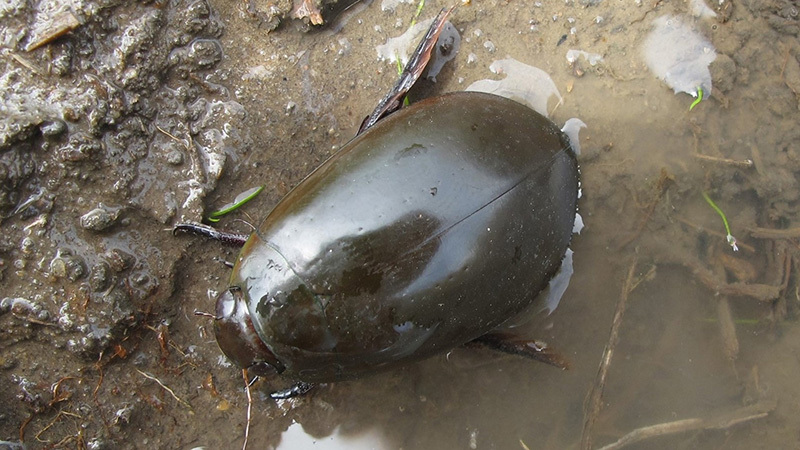 According to Prof Bilton, “Irrespective of size, these water beetles are a crucial component of the iSimangaliso ecosystem in that they are the primary predators in these temporary wetlands, which generally lack fish. Their abundance and diversity can be used to gauge the overall health of wetland ecosystems as they are sensitive to pollution, for instance”.